If you want the exact look of Shia Labeaouf from the movie Wall Street: Money Never Sleeps then this Shia Labeaouf leather jacket is a must buy for you. 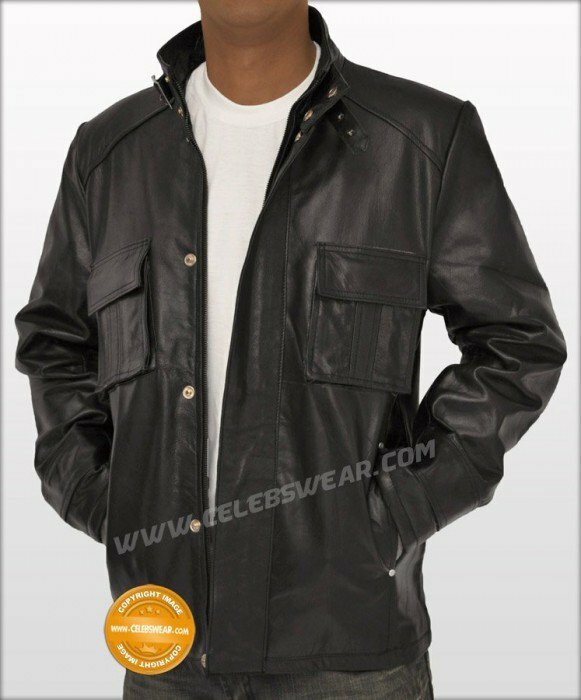 You can choose it to be of 100% pure Lambskin or Cowhide material according to your preference. However each piece of this bomber jacket is made with supreme attention to details having faultless stitching for you ideal fit. It has inside pockets, two side pockets and two breast pockets on each side meaning you have plenty of space to keep your valuables safe with you. It has a high collar with strap button design. This bomber jacket is 100% water resistant with quilted polyester linen. In front it has buttons as well as a concealed zipper. It is available only in black color and all sizes in the most affordable prize.